Being a managing director at a digital marketing agency is no easy feat. Regardless of the size, you often have to account for the constant cycle of changes, tweaks and updates to each specific platform. In addition, the industry includes some of the most quickly evolving and transforming niche services. Social media management, email marketing and search engine optimization are just a part of the wholesome that makes up digital marketing. Not to mention, you have to deal with client management and reporting. 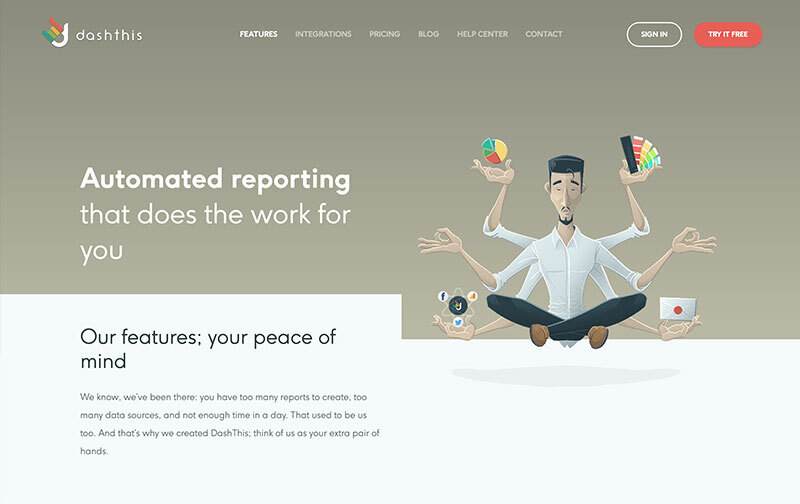 Nevertheless, with machine learning AI, optimization of algorithmic tools and the constant influx of data, reporting is becoming increasingly easy and simple. As long your marketing strategies are in check, all that’s left is for you to find the proper digital marketing reporting tools. With them, you will be able to save time, money and effort. With that in mind, we’ve decided to gather some of the best agency reporting tools for marketers that are available on the market today. Here is how you can quickly save up some resources via the use of the right tools for your digital marketing strategy. Without further adieu, let’s get started. Running a digital marketing campaign for a client often requires the expansion of online brand efforts on multiple fronts. While this is a given, it also means more often than not you need to be able to provide a wide range of reports. That’s where TapClicks (previously TapAnalytics) comes to help! With more than 100 available service integrations, this tool helps you to quickly engage with all available data. Another great feature that makes the service so powerful is the project specific user permissions that allow you to easily allocate different members of your team to the tracking data of each specific client. Similarly to other tools, TapClicks has an active dashboard that is regularly updated and fully customizable. Designed from the ground up to serve Digital Marketing agencies, our tool is tailored to help you manage and report to multiple clients. With over a dozen of helpful features, we take all available social media data, including analytics for the competitors of your clients, crunch it up, and provide you with easily customizable reporting solutions. You can easily create and customize different reports with the design specifications of your brand. In addition, the reports are customizable in terms of metrics, allowing you to create market campaign specific audits. With easy scheduling and integration with Slack, Locowise helps you dive deeper into the analytics that make up social media performance. 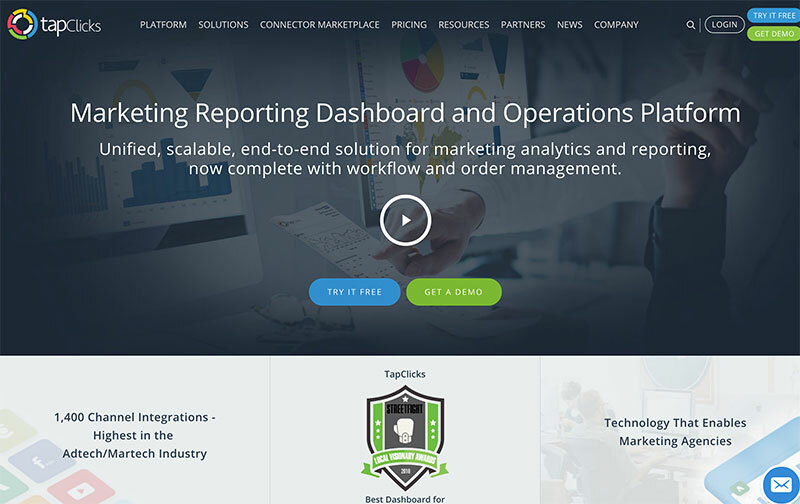 At the same time, we deliver easy to use and seamless reporting solutions, making us one of the top agency reporting tools used by marketers all over the world. One of the reasons that make Locowise unique are its social media performance features that allow you to easily track multiple client and client competitor accounts. With the data, our algorithms are able to create market audits that give you further insight to move your social media marketing campaigns further. Check out all of our unique features and learn why Locowise is the best social media analytics tool right here. 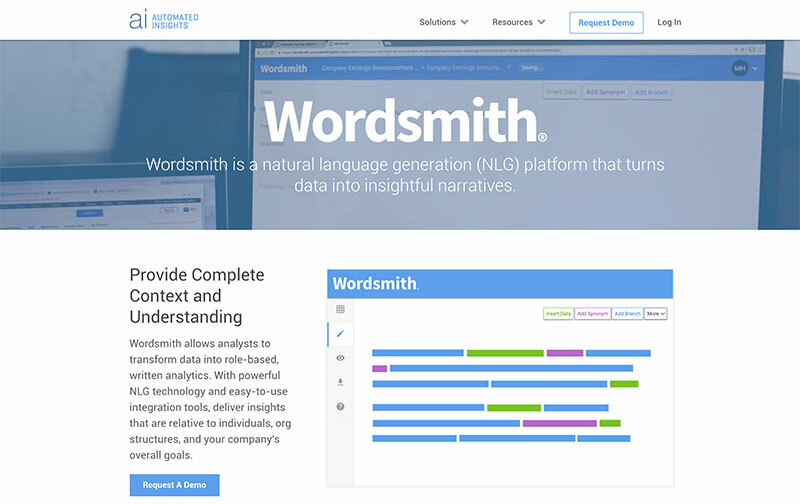 Wordsmith (for Marketing) is another great tool tailored towards white-label agency reporting. Created by Automated Insights, the tool is primarily used by digital agencies and media outlets, including the Associated Press, for the creation of a wide-range of reports. The service allows you to easily insert analytics data and converts it to a detailed custom report that you can then send to your client. It also allows you to connect a Google Analytics account and create detailed custom reports for your clients based on the data at a whim. A feature that makes this tool stand out is the review add-in notes that help you put your analysis directly into the report, before it is sent to the client. With fully automated report scheduling, Wordsmith for Marketing is one of the most popular analytics reporting tools for digital agencies. At the core of the tool is the brand-specific reporting and the algorithmic analysis of the data provided by Google Analytics that go in the creation of the reports. Combined with the easy edits, the service can be used in a variety of ways where Google Analytics & AdWords data can be used. DashThis is a less popular, but still powerful tool for data analytics and agency reporting. 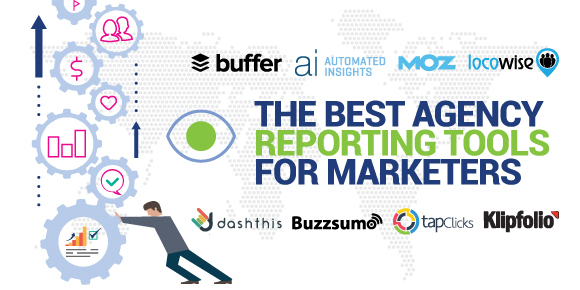 Aiming to deliver an all-in-one reporting solution, DashThis easily integrates with a number of different platforms, such as Campaign Monitor, Facebook Insights, Doubleclick Search, Bing Ads, Google Analytics and far more. Serving as a data tool to collect all of your data sources combined. The live dashboards this tool provides you with are fully customizable and can be easily setup for easy monitoring on external devices. 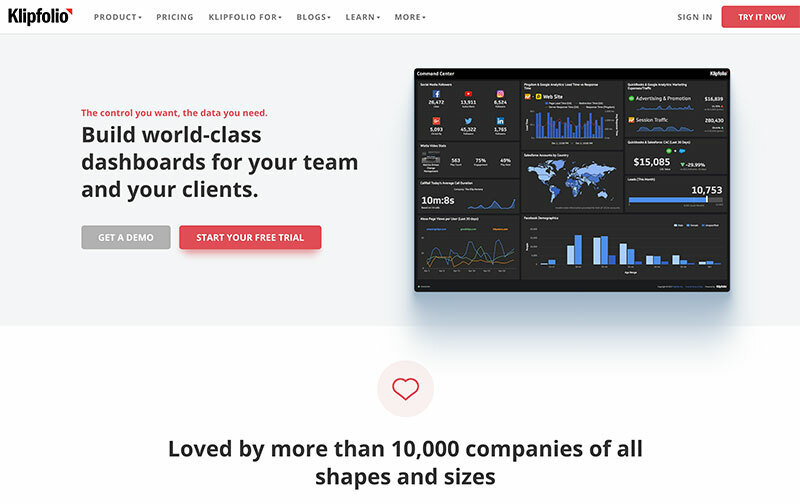 Furthermore, the tool has unlimited users allowing you to connect the profiles of your digital marketing team so that everyone has access to the data and the dashboard reporting they need. With the preset templates provided by DashThis, the process of client reporting is made that much easier. However, the tool is nonetheless aimed at in-house data tracking, reporting and live monitoring of data. Klipfolio is another agency reporting tool that is aimed at delivering web-based live dashboard solutions for easy business monitoring. Similar to DashThis, Klipfolio gives you the ability to create fully customizable live dashboards, which can then be shared with your clients for the live tracking of your business. The tool has an enormous list of integrations, starting with the usual suspects such as Alexa, Facebook Insights, AgencyAnalytics and going further with more peculiar tools that provide you with data including Amazon Aurora, Amazon Redshift, Basecamp Eloqua and more. One of the great features of Klipfolio is that it allows you to integrate email attachments within a live dashboard. This lets you easily send existing .cvs or scheduled automatic reports that are then used to update the selected report. While the tool is relatively good for agencies, it is primarily aimed at multi-service businesses that need complete tracking solutions for all of their different digital efforts. A tool we often include in our lists and which we personally use to further our digital marketing efforts, Buzzsumo is an amazing analytics and reporting tools that can be used by agencies. 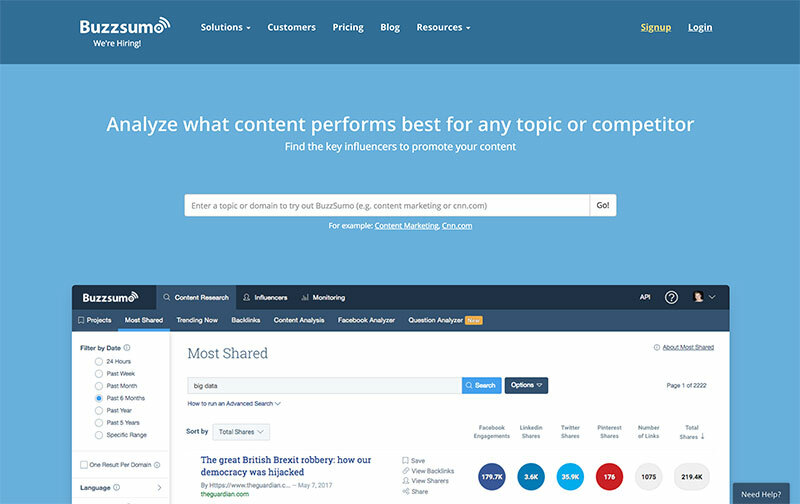 With a multipurpose design, Buzzsumo is aimed at content performance reporting. It uses powerful analytics to allow you to keep track of the social media footprint of your business while also giving you the ability to easily do research on the most influential content and publications within your industry. Among the number of features of BuzzSumo, it’s monitoring option lets you track the performance of your brand and the ones of your competitors in terms of content and digital footprint. With easy to schedule and detailed reports, this tool is extremely versatile and can help digital marketing agencies further the message of their clients via valuable content insights and reporting features. Need an SEO monitoring tool? You won’t be wrong to choose Moz! 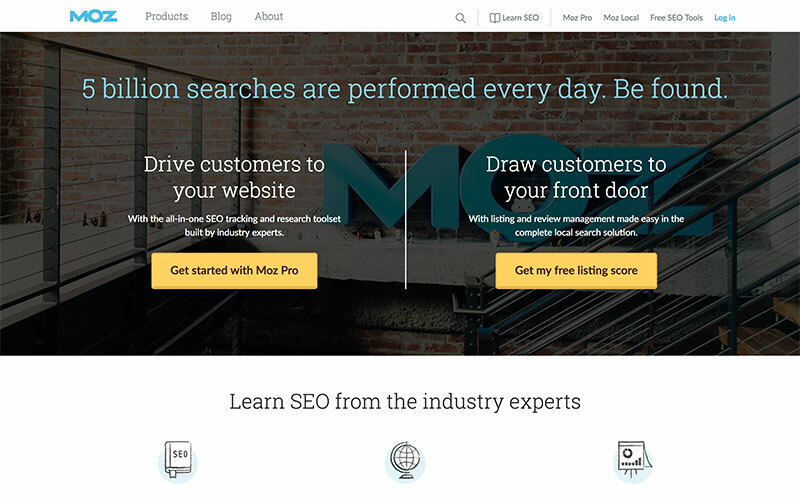 One of the most popular SEO analytics tools out there, Moz has an array of extremely helpful features that help you develop and keep track of all search engine optimization related metrics you can think of. Easily integrated with other tools, Moz also has a number of easy reporting options that are fully automated and can be easily shared with clients. While you can easily create one-click reports, Moz also allows you to create fully custom reports for each specific campaign and client. The tracking of multiple clients is also relatively simple and easy. What’s more, with the custom report scheduling, you would be able to save up quite a few work hours from the work agenda of your team. Similarly to Moz and Buzzsumo, Locowise is designed to be a multi-purpose measurement tool. 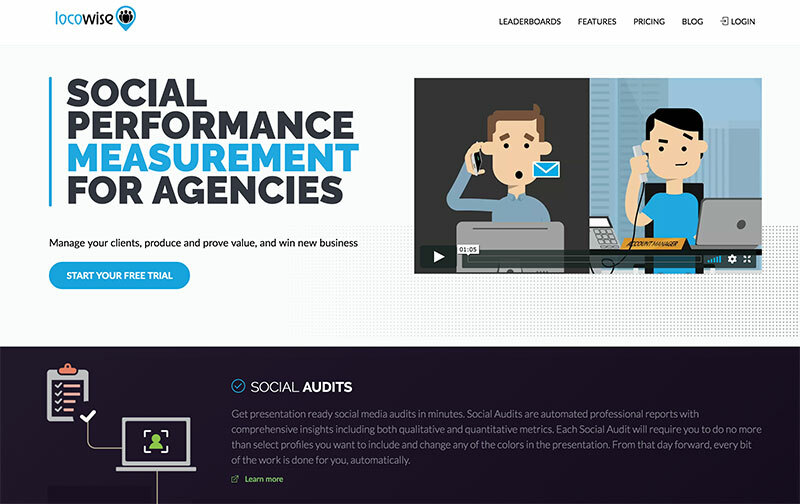 Unlike them, however, our agency reporting tool is designed for the best social media performance reporting. Having digital marketing agencies in mind, Locowise aims to deliver a wide array of features and fully customizable reporting with easy scheduling for clients. With the integration of multiple accounts you are also going to be able to easily allocate different team members to specific campaigns. If you want to learn more, make sure to contact us or sign-up for a free 7-day trial today! Social Media Performance is an integral part of the digital marketing agency reporting process. Learn how Locowise can help you cut down the reporting time and further provide your clients with valuable insights, by signing-up for a free 7-day trial.